About once a week or so, my daughter and I bake a cake. This isn’t something I ever purposed or planned. I’m not a skilled baker, lacking the nicety baked goods seem to require of a person. But somehow, this has become our Special Thing, our ritual. I suppose this might sound like something from an Eloise Wilkin book, but to be honest Eloise Wilkins books can make me feel bad; what sweet, clean, well-appointed lives her families seem to lead. Meanwhile the kitchen we bake in usually has an unmopped floor and grimy cabinet fronts, a stack of dirty dishes teetering in the sink. Nevertheless, we bake. My daughter is so happy and engaged while we work, relishing the focused attention from me and the pleasure of meaningful labor — cracking eggs, measuring flour, operating the mixer. 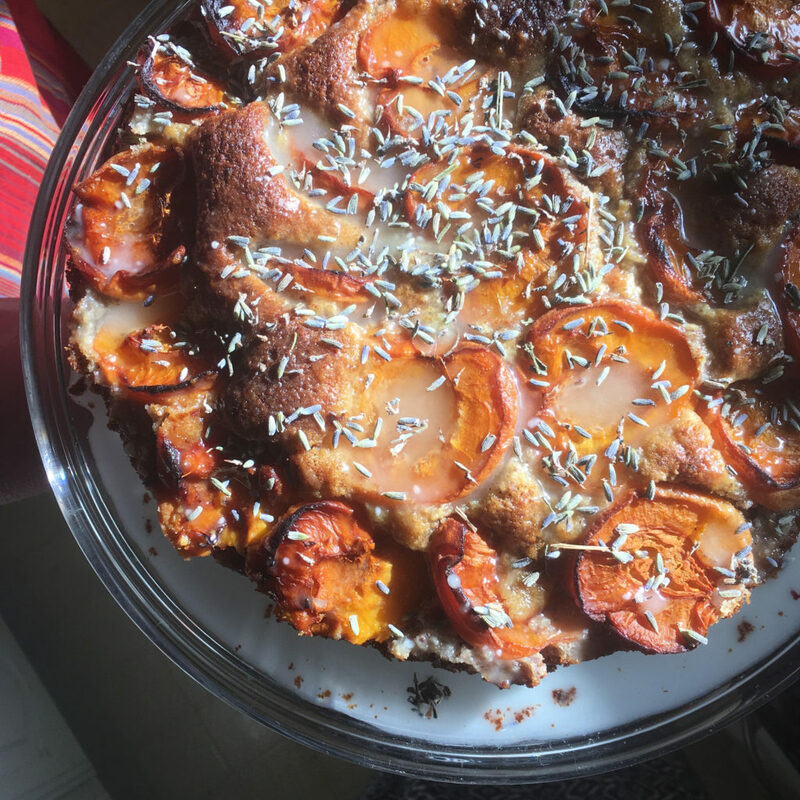 I’ve been thinking for a few weeks now about everything we accomplish by baking together; it seems to me that my daughter is learning a great deal with very little effort or intention on my part. She’s practicing counting, learning basic kitchen measurements and the names of common ingredients. We talk about why we butter cake pans and how baking powder behaves, the kinds of real-life experiences that lay the foundations for scientific knowledge. All the scooping and stirring and sifting is excellent for her fine motor skills. I could go on. This is all well and good and worth pondering, but as the weeks have passed I’ve noticed a deeper level of learning taking place, one that has less to do with overtly academic skills and more to do with my daughter’s character and heart. The first few times we baked together, I had to keep a close eye on her — she would crack more eggs than I asked for just because it was fun; she would try to add random ingredients or turn the mixer on whenever the fancy struck. But gradually, she’s learned that there is a recipe that must be followed and a reason behind everything we do, that she cannot simply follow her whims and expect a good outcome. Week by week, she gets better at asking for permission before acting, at following directions with precision — and it is affecting her spirit and behavior in general, not just her ability to bake without disaster. Though I never anticipated this, baking has proven to be incredibly effective habit training. My daughter is learning how and why to submit to authority, and the lesson has been sweet and pleasant. On a deeper level still, she is internalizing through experience the truth that we live in an orderly universe. It is not an environment that [children] want, a set of artificial relations carefully constructed, but an atmosphere which nobody has been at pains to constitute. It is there, about the child, his natural element, precisely as the atmosphere of the earth is about us. It is thrown off, as it were, from persons and things, stirred by events, sweetened by love, ventilated, kept in motion, by the regulated action of common sense. We all know the natural conditions under which a child should live; how he shares household ways with his mother, romps with his father, is teased by his brothers and petted by his sisters; is taught by his tumbles; learns self-denial by the baby’s needs … learns veneration for the old by the visits of his great-grandmother; how to live with his equals by the chums he gathers round him; learns intimacy with animals from his dog and cat … no compounded ‘environment’ could make up for this fresh air, this wholesome wind blowing now from one point, now from another. Lately, in connection with these ideas, I have been pondering the implications of the incarnation, the Word made flesh (stay with me, kind reader; we’ll come back to the cake in good time). The Greek word ‘logos’ translated as ‘Word’ in the first chapter of John doesn’t mean a literal, grammatical word; it signifies the logic and meaning behind words, the divine reason, order, and wisdom which permeates the universe. It was an important concept in Greek philosophy. When John says that the Logos was made flesh and dwelt among us, he makes a paradigm-altering statement. In a universe where Christ has taken a human body, a universe with an eternally incarnate Logos, the sacred and the mundane, the physical and the spiritual, are permanently blended. Perhaps you’ll say I’m overthinking, but understanding this helps me understand how atmosphere can be an instrument of education. Christ the Logos, by whom all things were made, was himself made flesh and dwelt among us. This changes how we understand and value the physical universe, the ordinary human life. When we live incarnationally, we honor the inherent meaning and worth in the created world, in the ordinary rhythms and relationships of our lives. We feel less need to micromanage, curate, enhance, and preserve a ‘perfect environment’ for our children’s growth. And we understand that truth is best expressed and experienced in living, embodied forms — through living books, through real-life experience. We can learn about the nature of reality even through such ordinary little acts as baking cake in a messy kitchen on a Friday afternoon. So, yes, about that cake we bake once a week. It is just cake. Take it or leave it; nothing depends on it. This is just one of our “household ways,” an unforced part of our atmosphere. But as such, it has a numinous potency in my daughter’s life — not because I can wrangle an enriching educational experience out of it, but because even the seemingly mundane parts of life, seen rightly, are rich with meaning and value, expressions of the Logos. The more we lean in to this truth the more we are liberated from the pressure to do more and experience more and find more enrichment and entertainment for our children and ourselves. Instead, we learn to trust that in everyday life and its rhythms and relationships, we have been given exactly and abundantly all we need for growth. 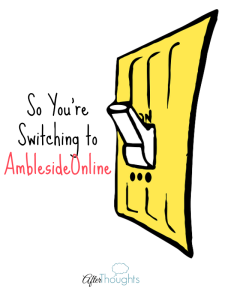 Caitlin is a mother, writer, foster parent, and AmblesideOnline graduate. She holds a BA and an MA in the humanities with a concentration in creative writing. 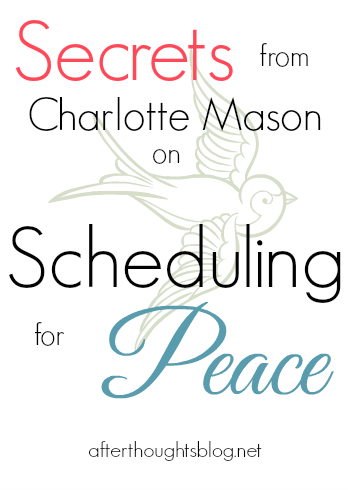 Caitlin lives in Dallas, Texas with her husband and two small children, enjoying the simplicity, freedom, and beauty of Charlotte Mason’s approach to early childhood. There are so many things I love about this. Thank you for such a thought-provoking article! 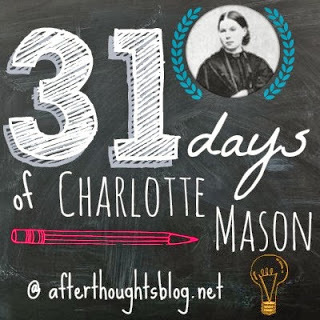 The concept of living incarnationally reminds me of the book “Liturgy of the Ordinary.” I love how you connected it to Charlotte Mason’s idea of atmosphere. What a delightful thought and observation!